Recent Engage Hub commissioned research has shown that poor customer experience is the main reason UK consumers would consider switching banks. Recent Engage Hub commissioned research has shown that poor customer experience is the main reason UK consumers would consider switching banks; nearly half (48 per cent) citing this as their biggest gripe with the banking industry. But what role does technology have to play in improving, or indeed worsening the situation? Once the responsibility of branch managers, customer service is no longer defined by the interpersonal skills of a bank’s employees on the high street. Younger generations that have grown up with the internet and connectivity everywhere want to use technology to squeeze routine tasks into their busy lives. Their expectation that it should be possible to check balances, make payments and even set up a bank account at any time, in any location and on any device, is forcing traditional banks to reconsider their digital offerings to attract new customers, and retain existing ones. Part of that customer experience problem is the technology that’s being poorly utilised. Outmoded CRM systems and databases used to send irrelevant communications (23 per cent), clunky, hard-to-use mobile apps (17 per cent), and not offering the communication channels that consumers would prefer to communicate through (14 per cent) were all factors cited as reasons that would influence a consumer’s decision to walk away from a bank. I’m already starting to paint a fairly complicated picture of the problems banks face in evolving their services to meet current demand, and that’s before we start slicing and dicing the data to look at how different demographics responded to this particular line of questioning. Younger people (aged 18-24) might be less put off by poor customer service – down 7 per cent vs the 48 per cent average – but they are more likely than anyone to seek an alternative bank if they perceive they are being spammed with irrelevant communications, can’t do everything they want to do through an app, or has a bank sending them emails when they want texts or push notifications. There is a level of personalisation required when communicating with consumers, who will no longer accept an onslaught of irrelevant messages and advertising. Banks need to tap into the wealth of knowledge locked within the customer data they hold to glean a unique insight into what their customers want. Contextually relevant and personalised content, distributed via the customer’s preferred channel, could dramatically improve brand satisfaction. Email (44 per cent) was identified by the research as the most popular method of communication identified by consumers, followed by banking apps with push notifications (29 per cent) and text/SMS messages (26 per cent). But again, rather than simply taking that to mean that banks should rely on email as their primary communications channel, misses the point entirely. When looking at different age demographics, there were clear distinctions between younger and older consumers in terms of preferred channels of communication, and looking at the 18-24 vs the 65+ age groups, highlights the differences most significantly. For example, those aged 18-24 were much higher than the average in their preference for communications via apps (37 per cent v 29 per cent average) and SMS (31 per cent v 26 per cent average), but lower for email (38 per cent v 44 per cent average). Conversely, those over the age of 65, had a greater preference for email (54 per cent vs 44 per cent average) and were less keen on communications through apps (17 per cent v 29 per cent average) and SMS (17 per cent v 26 per cent average). With such a range of channels available to them, it’s perhaps unsurprising that only 40 per cent of customers are being communicated with via their preferred channel, while 17 per cent are never being communicated with via their preferred channel. One in 10 consumers (10 per cent) believe their bank doesn’t know what communication channels they prefer. While 24 per cent of respondents believe the communications their bank send are always relevant to them, 34 per cent feel they could be more relevant. Worse still, 17 per cent believe communications are always irrelevant, and one in four (25 per cent) said their bank never communicated with them. It is well documented there has been a clear shift towards online banking in recent years, but what’s really upped the ante is the mobile centric behaviours of younger generations. The demand for anytime, anywhere access to banking has been propagated by the capabilities of modern smartphones, and streamlined, integrate systems, with a single customer view point, are the key to optimising customer experience. And that means talking to them about the right thing through the right channel, which may not always be the same one for the same person, depending on the service required. The implications of failing to facilitate a seamless cross-channel customer experience that meets growing customer expectations is colossal. According to Accenture, full service banks could lose around 35 per cent of their market share by 2020. Emerging technologies developed by pioneering fintech companies and the increasing use of mobile devices for both banking and payments is making it easier for new entrants to exploit areas of dissatisfaction and underinvestment within the traditional banking industry. Combined, these factors are forcing financial institutions to revaluate their mobile customer journeys. That same report from Accenture goes on to reveal that today’s customers see bank’s digital offerings as the single most important area for banks to invest; with eighty per cent of customers using digital connections at least once a month and mobile connections to banks up 50 per cent since last year. A consumer-led revolution is calling for banks to adopt a cross-channel solution to customer service. The challenge of meeting evolving consumer expectations, for many traditional banks built on legacy infrastructure, is a lack of flexibility to react to these changes quickly. These banks are built on systems that have been cobbled together over time, with relatively untapped but incredibly valuable customer information sitting in silos. To remain competitive in the market, banks need to integrate solutions that complement, rather than disrupt, their existing systems. 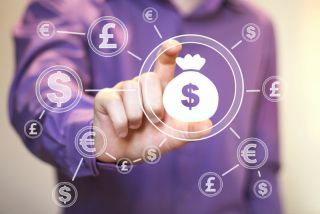 Implementing a unified data platform to manage the flow of data within the organisation will allow banks to provide customers with multiple options on how they would like to communicate with their banks. As a consequence, customers are happier and banks have much more streamlined, efficient processes in place.